In addition to the brilliant one-liners offered in his La Nacion interview, following are some notes on the pope’s more serious comments. – Pope Francis mentioned that nasty old “proselytism” no less than five times. OK, OK, we get it, Holy Father; that venerable practice otherwise known as the mission that Jesus Christ gave to the Church is still on hold. So noted. Watch for the Bergoglian Retribution to unfold over the next year as his foes (read: defenders of the Catholic faith no matter how lukewarm) are duly compensated for their offense. How he does this may not be public nor immediately obvious, and while his retributive injustice may not include every last name on his hit list, rest assured he will make examples of enough of them that the others will get the message. This isn’t the first time Pope Francis has indicated that he is in some sense beholden to an agenda that was set by the cardinal electors prior to the conclave. If the translation is to be trusted, the Holy Father stops short of suggesting that an agreement was made (as some suspect), but that said, “demand” is a rather strong word in its own right; one that leaves the door open for more speculation. It was unsettling enough when Pope Francis suggested that the breath of the Holy Spirit inspired the text of the Second Vatican Council, but the Synod? Well, that’s the “God of surprises” for you, I suppose! Sounds harmless enough until you consider the plain fact that there really are no “essential matters of doctrine” over which legitimate disagreements exist, and when there is such disagreement expressed, we have a name for it; heresy. – This brings me to the “case of divorcees who have remarried,” as the pope called them. According to Pope Francis, “We posed the question, what do we do with them? What door can we allow them to open? I have a couple of questions of my own: Who says we have to do anything with them that isn’t already being done? In other words, from where is this sense of urgency coming? To be sure, unlike the homosexualist movement referenced in the previous post, the numbers of Catholics who are civilly divorced and remarried is indeed appreciable. Even so, don’t be fooled; the urgency isn’t a response to the pleas of the “divorcees” themselves, it’s a fruit of the insatiable desire to reform that is part and parcel of the conciliar revolution. In the case of divorcees who have remarried, we posed the question, what do we do with them? What door can we allow them to open? This was a pastoral concern: will we allow them to go to Communion? Communion alone is no solution. The solution is integration. They have not been excommunicated, true. But they cannot be godfathers to any child being baptized, mass readings are not for divorcees, they cannot give communion, they cannot teach Sunday school, there are about seven things that they cannot do, I have the list over there. Come on! If I disclose any of this it will seem that they have been excommunicated in fact! “Divorcees” are barred from reading the Scriptures at Holy Mass and disqualified from teaching Sunday school? Not to be flippant, but on what planet is this the case? Come to think of it, where exactly are those Catholic parishes, the pastors of which encourage (much less enforce) abstention from Holy Communion on the part of “divorcees who have remarried” until such time as they remedy their situation? It’s difficult enough to find a bishop with the wherewithal to even suggest that notorious pro-abortion politicians abstain from Communion, and the pope thinks there’s an urgent need to make sure “divorcees” aren’t barred from acting as godparents and handing out Jesus on Sunday? Having spent many a year in the Novus Ordo world, a number of them while abstaining from Holy Communion until my own marriage was regularized, I know firsthand that all but a tiny percentage of the people present rush forth to receive the Eucharist at every single Mass. Oh, the “divorcees who have remarried” are there, and indeed some in this situation do willingly abstain from the sacraments, but the overwhelming majority simply march right on up for Communion with the rest of the herd. And what’s more, the pastor knows it. In fact, unless you happen to be one of those fortunate few who belongs to a parish that has some crypto-Lefebvrean tendencies or otherwise tends to lean in what Pope Francis would call a neo-pelagian restorationist direction, the proper disposition for the reception of Holy Communion is a message you will rarely if ever hear discussed. That, my friends, is the real problem, and it’s an old one. 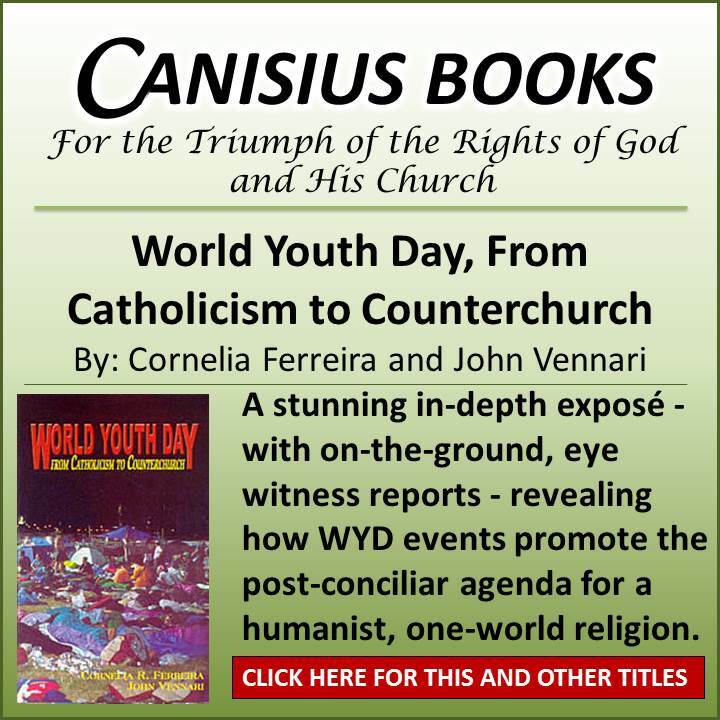 The failure of our pastors to teach the sacred deposit of Christian doctrine and to rule accordingly has been a problem for more than forty years now thanks to the earthbound, man centered orientation of the Second Vatican Council. And yet the vast majority of the hierarchy today, not just including, but especially the pope, give forth every indication that they simply are not willing to risk being hated for His sake; preferring instead to conjure up solutions to make believe problems, all in an effort to court the affections of men. I guess the fact that I can’t make head nor tail out of what this man says could point to a disorientation on my part. The ‘diabolical’ part is all Francis though. 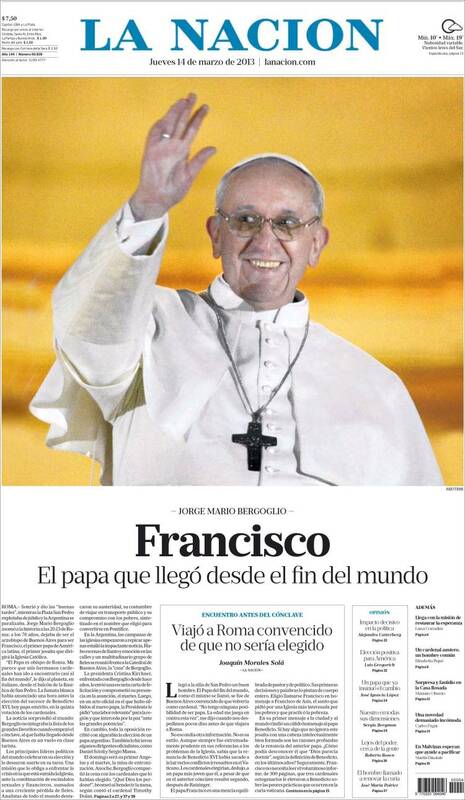 On second thought it has been pointed out that we simply MUST take Francis at his word. When he says something he means it. Everything. He says his words are plain (tis to laugh!) but they really ARE plain. We just can’t believe he means what he says because of what will happen if his plans are carried out. Dear Barbara, all faithful Catholics are suffering terribly because of the evil-doing of the Pope. Let us daily offer that suffering in reparation for the evils of the leaders in the Church, the persecution of the good, and the purification of the Church. Blessed Michael, the Archangel, defend us in battle . . .
“all in an effort to court the affections of men”… I wonder, as is noted here as well, that there seems to be more of a clamor from the hierarchy about change than from the people. As Catholics we know well the Faith, Traditions, traditions, and practices of our Church. Now there seems to be a need to change all of those elements. This is all played out on the stage of the victimized. Yet, I question just whom we are dealing with. The faithful have been lulled to sleep by 50 years of innuendo about our ways. Now comes the time to hit upon that which has been accomplished by VII et alii to enable the final blow to the core of the Church. I for one think all of this has little to do with the people in the pews…so to speak. If anything is obvious from recent history, it is that the masses can be swayed to believe and take action, even violent, when sufficiently agitated by special groups. Those groups are set into action both by direction and resources by the elite who have their own agenda about what to do with this world and its people. The Church has been the light and the salt that stood up against the flood of evil. My question is just who is running the Church today? What elite group is using the Church hierarchy like puppets to entertain and influence the thinking of people so they can move ahead with the dismantling of the Church? We know already that the attack has reached to Vatican now with all its own and many scandals. The focus of our attention should be to find who is behind that curtain, who is the piper of all this change? Yes, we know it is satan, but who are his elites? Just who is running the Church today? Hi rcaamo. Who is running the Church today, you ask? Heretic Modernists is the answer. As you know, this particular heresy has been growing, developing, and morphing for 200 years, and has culminated in what we see in Pope Francis and his cohort today. You are correct when you say the man in the pew has nothing to say. Most don’t notice because they are asleep, lulled by Dan Shulte’s ‘music’ and the snore-fest called a ‘homily. Fighting evil that comes from outside has been easy. The bloodier, tougher, and sadder fight is against evil within the ranks of those we are supposed to love, trust and honour. Talk about hitting the nail on the head and with perfect timing! –“Sometimes “they give us reasons” as to why they are closed: They give “excuses, justifications, but the fact remains that the Church is closed and the people who pass by cannot enter.” And, even worse, the Lord cannot be close to the people. — “Ideology chases away the people, distances, DISTANCES the people and distances the Church of the people. -But WHY IS IT A CHRISTIAN CAN BECOME LIKE THIS? JUST ONE THING: THIS CHRISTIAN DOES NOT PRAY. AND IF THERE IS NO PRAYER, YOU ALWAYS CLOSE. Thank you for speaking the terrible truth, in love for God and His Holy Church, Mr Verrechio. The “solution” for divorced persons living in sin with someone to whom they are not married (because they are married to another) is to repent, to stop the public adultery, and if possible, return to their true spouse. Sacramental absolution must be received before receiving the Blessed Sacrament. To receive the Blessed Sacrament whilst in a state of mortal sin, is a mortal sin, a terrible sacrilege. If the sin is manifest and obstinate, as it is where a person has left his true spouse (itself a mortal sin), and furthermore, lives in an adulterous relationship with another (another mortal sin), then it is a mortal sin for the Minister to administer the Blessed Sacrament to him, for he knowingly cooperates in the sacrilege of Our Lord, Body, Blood, Soul and Divinity. Answer: The door to the confessional always is open. Excellent answer! I will be quoting you on this one. That is for sure. Thanks again. Louie, you are correct. If the Synod allows Holy Communion for the divorced and re-married, it is not proclaiming a new tenet. It is merely validating what is the behavior in almost every N.O. church. Also, there is very little or any talk re the annulment process. I think the word “annulment” is too closely related to the Catholic Church even if annulments are too easily given. The object is the demoralize and diminish anything “Catholic”. If Bergoglio was elected to destroy everything Catholic, he should be given a standing ovation by the hirelings who brought him to the throne of Peter. 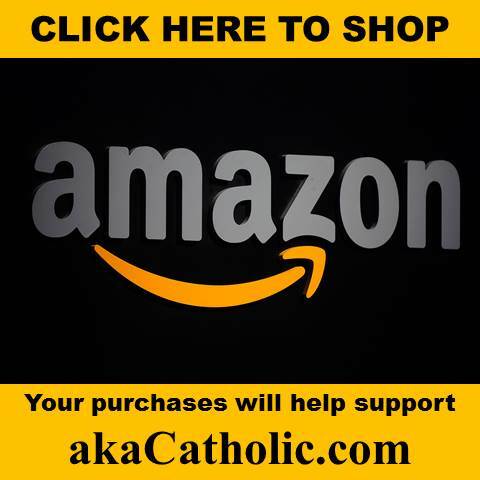 This link is to one of the most expansive interviews with Cardinal Burke we’ve ever come across. What makes is even better is the quality of the questions. Everything we’ve been discussing here plus. Great link. Thanks again. We will be passing this one on to others. 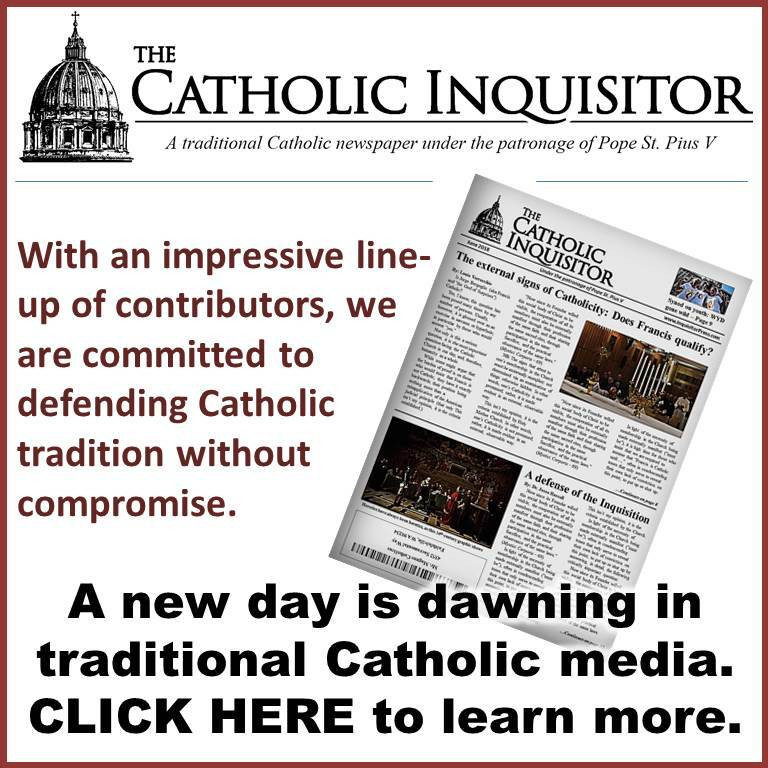 Indignus, thanks for passing on the link to Cardinal Burke’s interview. Something I find very restful about him, is his complete lack of anger. He states the truth in a firm way, but never resorts to anger – he turns it into sadness, and a sort of hope for the future. He’s wonderful. Let’s pray he has a long, long, long life. Thank you, Indignus, for this link! I would love to hear a debate between Burke and Bergoglio on these same questions! I think the contrast would be astonishing!!!!! And Barbara, we know exactly what you mean–it’s like sitting at the feet of Jesus- or at least one of his disciples who actually applies the Faith to his own life, and has grown holy. Though we did notice an absence of questions on ecumenism, he covered so much more than usual, we think this one will be analyzed for a long while. “The rich articulation of the Extraordinary Form, all of which is always pointing to the theocentric nature of the liturgy, IS PRACTICALLY DIMINISHED TO THE LOWEST POSSIBLE DEGREE in the ordinary form. And My2cents We’d rather see Burke replace Bergoglio than have to suffer the agony of seeing him try to endure ploughing through all that bad-Jesuit offal. 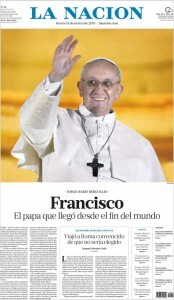 The Pope doesn’t seem to converse- he just digresses and diverts. It’s nearly Christmas time, so why not bask in some feel-good-schadenfreude good news? I’m getting a kick out of watching Obama’s good socialist friend and professional liar Gruber get raked through the coals for that fraudulent daylight robbery known as Obamacare. We all know Obama and his entire administration is implicated. But it’s fun watching him squirm and wilfully play the fall guy so that he doesn’t give up his precious fuhrer and party. I’d feel bad for this guy for being literally abandoned by his masters… but then I remember he’s also the architect of an economic piece calling for baby-death panels to save government money by aborting them. I wonder if an economic ‘genius’ like him ever factored in that the money the government currently has and will ever have in the future obviously had to come from somewhere… hmmm? Who could it have been? And where did all those contributors come from in the first place? Another early Christmas gift – this time from that lovely probe known as Rosetta and the trembling folks over at the European Space Agency – helping expose and overturn decades of scientific nonsense in the search for that illusory frontier that will finally, they hope, take God out of the picture. Sorry atheists… time to admit you screwed up, hand in your resignations, give Science back to the Church, and get work that meets your cognitive requirements – digging holes in the dirt. And not non-existent Einsteinian holes, I mean actual holes… with a shovel! And there we will lay the foundation stones for future Catholic Churches over your broken edifices to naturalistic scientism. – Nowhere in Sacred Scripture do we find warrant for the popular myth of the Devil as a buffoon who is dressed like the first “red.” Rather is he described as an angel fallen from heaven, as “the Prince of this world,” whose business it is to tell us that there is no other world. His logic is simple: if there is no heaven there is no hell; if there is no hell, then there is no sin; if there is no sin, then there is no judge, and if there is no judgment then evil is good and good is evil. But above all these descriptions, Our Lord tells us that he will be so much like Himself that he would deceive even the elect–and certainly no devil ever seen in picture books could deceive even the elect. How will he come in this new age to win followers to his religion? – The pre-Communist Russian belief is that he will come disguised as the Great Humanitarian; he will talk peace, prosperity and plenty not as means to lead us to God, but as ends in themselves. . . .
– The third temptation in which Satan asked Christ to adore him and all the kingdoms of the world would be His, will become the temptation to have a new religion without a Cross, a liturgy without a world to come, a religion to destroy a religion, or a politics which is a religion–one that renders unto Caesar even the things that are God’s. – In the midst of all his seeming love for humanity and his glib talk of freedom and equality, he will have one great secret which he will tell to no one: he will not believe in God. Because his religion will be brotherhood without the fatherhood of God, he will deceive even the elect. He will set up a counter-church which will be the ape of the Church, because he, the Devil, is the ape of God. It will have all the notes and characteristics of the Church, but in reverse and emptied of its divine content. It will be a mystical body of the Antichrist that will in all externals resemble the mystical body of Christ. . . .
-. But the twentieth century will join the counter-church because it claims to be infallible when its visible head speaks ex cathedra from Moscow on the subject of economics and politics, and as chief shepherd of world communism. Not sure he envisioned it as a false church WITHIN the True one, but he nailed everything else. Two days ago, we celebrated the Feast of Our Lady of Guadalupe, and. “Creative Minority Report” provided the link below, which called our attention to the many lesser-known miraculous aspects of this gift God allowed Our Lady to present to the world, and leave behind in Mexico, which not only led to the conversion of millions of Indians, but remains for future generations to experience as well. – One of those , is the fact that the tilma, inexplicably maintains a constant temperature of 98.6 degrees. This strikes us as a beautiful reminder from God and Our Blessed Mother, that part of the reason He continually calls mankind to accept the Truth and repent of sin, despite all our atrocities, is that in His great mercy, He never forgets we are all human. ” Pope Francis mentioned that nasty old “proselytism” no less than five times”. As a nice little contrast to the reports on more miracles from Our Lady of Guadalupe, John Vennari over at Catholic Family News blog has a link to Pope Francis’ ‘mass’ in St. Peter’s with 600 priests ‘concelebrating’ with him in a Creole style. It’s almost unwatchable, even for a few seconds. Blasphemy. Our Poor Lord. He wept over Jerusalem and would weep over Rome. Bishop Sheen is not only a saint, but a prophet. I wonder if Pope Francis will have Patti Smith back for Midnight Mass, too. It’s painful to watch such a stage-performance with all the focus on the people instead of on the altar. We hereby declare that singing with orchestra accompaniment is not regarded by the Church as a more perfect form of music or as more suitable for sacred purposes. Voices, rather than instruments, ought to be heard in the church: the voices of the clergy, the choir and the congregation. Nor should it be deemed that the Church, in preferring the human voice to any musical instrument, is obstructing the progress of music…especially when it is used by the mind to offer up prayer and praise to Almighty God. He goes on to give detailed instructions on the formations of choirs, and ends with: We are well aware that the fulfillment of these injunctions will entail great trouble and labor. But do we not all know how many artistic works our forefathers, undaunted by difficulties, have handed down to posterity, imbued as they were with pious zeal and with the spirit of the Liturgy? Nor is this to be wondered at; for anything that is the fruit of the interior life of the Church surpasses even the most perfect works of this world. That video has been taken down. Probably just as well. 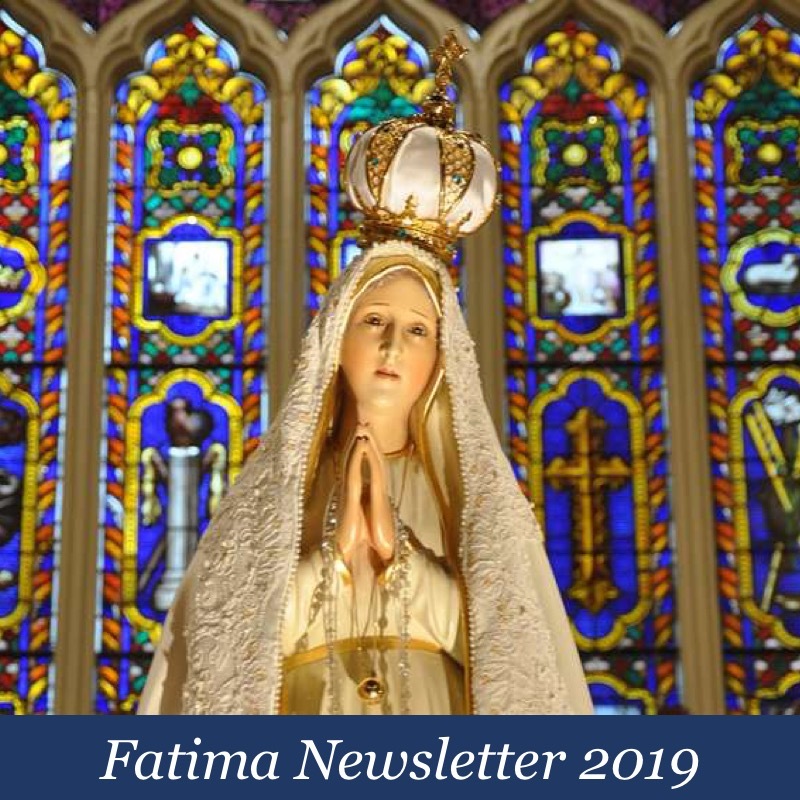 Our Lady of Fatima, pray for us. It has disappeared. Thanks. And your’re right, it’s just as well. We need to keep showing people how bad it is, but after a while it can get depressing. I also need to add that although I admire Cardinal Burke I find it hard to hear the words “Saint John Paul” and reference to the NFP promoting encyclical Humanare Vitae as though they were great things for the Church. I am impressed however with how he has been able to survive his Novus Order upbringing and influence through his being able to not only see but speak out, out of all the Novus Ordites clergy, on how things have gone amiss in the liturgy in the Novus Order and of the destructiveness of the new pastoral applications in regards to the doctrines of the Church. So sorry, but this above comment #19 was meant as a reply to my reply on Indignus famulus’ link on the interview with Cardinal Burke. Hi Anastasia. It is really NO surprise that Cardinal Burke has survived, and thrived, in this NO milieu. It’s all grace. Our Lady prophesied chastisements which we richly deserve…but she is raising up priests and bishops to be our beacons in the darkness. Let’s not forget She brought us Bishop Sheen, and now we have Archbishop Schneider, and Cardinal Burke, and all our wonderful confreres at Pius X starting with that holy Bishop Lefebvre, and The Priestly Fraternity, and The Institute of Christ the King, and last but not least, Father Rodriguez in Santa Fe – and many more. She has also raised up Michael Voris, our own Louie, Mundabor, and all the faithful bloggers who hold up torches too. And you and me, and the others here who pray for the Consecration of Russia. She has taught us the power of the Rosary. She will bring an end to this latest, and worst, heresy – Modernism. Our Lady is good to Her children. My above comments should have been posted in the #8 comments. (1) There is an obvious difference between younger and older clergy, the old ones are the problem, but they’re getting older, their time’s running short. (2) A prophecy by St. Hildegard (I wrote a book on this) that puts us in the fourth of five eras that precede the Antichrist. After this era ends a period of spiritual renewal (and persecution) will follow.